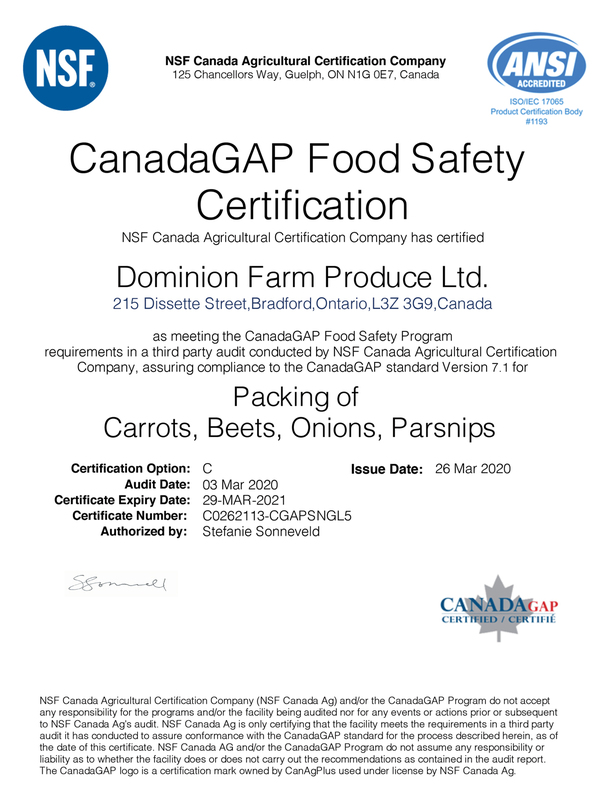 Food safety is extremely important at Dominion Farm Produce to ensure the fresh vegetables you buy from us are of the best quality. We are long-standing members and are audited by the Canadian Horticultural Council for our HACCP based food safety system. 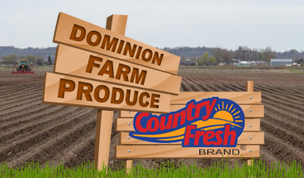 Dominion Farms opened its current location in 1965 in Bradford. 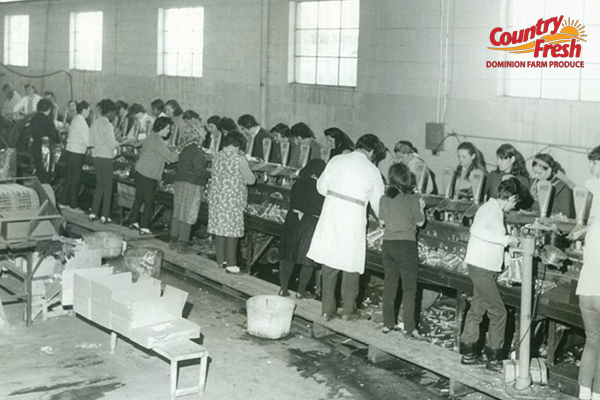 Dissette Street was opened up specifically to house the new processing, packing, storage and shipping facility. Dominion needed a central depot where many smaller growers could bring their vegetables to be packed and distributed. Nino Tomizza wanted the use of fresh, cold, safe town water to wash the marsh crops and needed to be in town so that CN Railway could deliver railcars of carrots and potatoes right to its location.